Karina Ralston's experience and skills in Family Law allow her to provide advice and representation in a range of matters including divorce, parenting arrangements, relocation cases, property matters, Binding Financial Agreements, and de facto relationships. 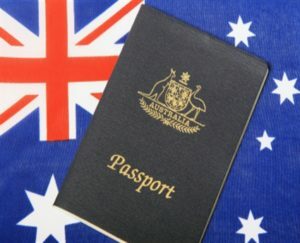 Growing numbers of Australians have “international” ties, either through dual citizenship or family members living overseas. With these ties, there is an increasing risk that following separation, one parent will relocate overseas with the children of the relationship. Recent examples include the case of the “Italian children” where a father sought to have his three daughters returned to him in Italy, and the more recent case involving the 60 Minutes news team travelling to Lebanon to recover children removed from Australia. These cases have dominated headlines, and more and more parents are taking steps to ensure that their children can’t be removed from Australia post-separation. Parents can make a Child Alert Request with the Australian Passport Office of the Department of Foreign Affairs and Trade. The Alert warns the Department that there may be circumstances that need to be considered before issuing a passport to your child. The form can be completed online but must also be printed and submitted to the Australian Passport Office in a hard copy format with your signature. To place your child’s name on the List you need to make an Application to the Family Court of Australia or Federal Circuit Court of Australia. The child’s name will be registered with the Australian Federal Police at all international departure points, and if a parent attempts to take the child out of the country, the child will be stopped at the airport and prevented from leaving. For more information about this see our blog When a wing and prayer won’t cut it – Travelling overseas with children.